115 Day Celebration Event and more inbound! Treyarch has some nice changes for Call of Duty: Black Ops 4 this month. In a post on Reddit, the developers have outlined what fans should expect in the coming weeks. In the developer update, Treyarch confirmed that changes are coming to all three of the game's modes. Gauntlets are being added to Zombies and consist of "curated 30-round challenges with unique rules for each round" in which players will "receive Bronze, Silver, and Gold medals and special tier-based rewards upon completing rounds 10, 20, and 30, as well as a unique reward (and bragging rights) for completing round 30 without failing a round". Treyarch is also holding a special 115 Day Celebration Event for Zombies running from January 15 - 18, which will net players double XP, weapon XP and double Nebulium Plasma during the event. On the Blackout side of things, Treyarch is adding a "new looting interface to Blackout on consoles, allowing players to scroll through a multi-row grid, loot the items they’re looking for, and get back to the action as quickly as possible" which should help the flow of combat. 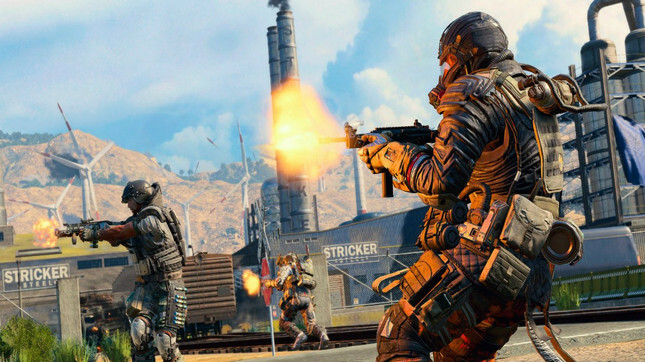 The developer also stated that two new limited-time modes are being added to Blackout, with info dropping " in an upcoming update, plus the reveal of more Blackout news coming soon". Last but not least, in Multiplayer Mode, "Elevation and Madagascar will be added to full map rotation for Black Ops Pass holders". Treyarch also confirmed that new MP maps will be added "into full rotation as they’re released". The coming update will also include new Featured Playlists along with stability and quality of life improvements.